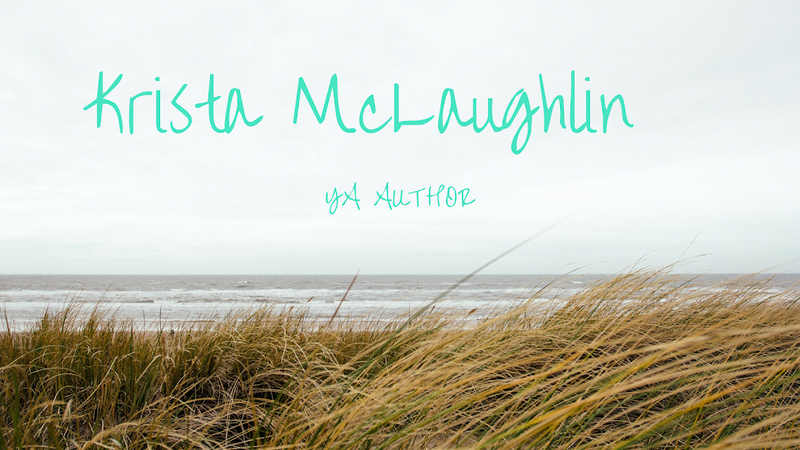 Krista McLaughlin - YA Author: "Breathless" is being published!! First, let me say how nervous and incredibly excited I am! I am super excited to tell you of my news and at the same time, I feel like I could probably throw up on your shoes. Though I'll try to aim away from your shoes. I have made the decision to self-publish my novel, "Breathless." It's a YA Urban Fantasy Romance; a twist on the Little Mermaid. It's a novella and I love it! I'm not against traditional publishing or publishing with a small publisher. I'd still like to find an agent someday, but at this time, I think the best decision for publishing this novel is to self-publish it. It really gives me control of how the novel is published and I'm very excited about that! The publishing industry is changing. You can be a hybrid author, and combine as many aspects of publishing as you can and want to handle. It's okay to have self-published books, small ebooks, and paperback books. So... "Breathless" is being published! I am aiming for a release date in December, but I'm not sure at this time. It will depend on some final revisions and tightening. I do plan on doing a cover reveal, hopefully in November, so I'd love it if you wanted to help out! I'll be doing a special post on that at a later date. It has a Goodreads page - so you are welcome to add it to your to-read list! More details will be coming soon! I just wanted to share my excitement with you! Thanks everyone and I will be keeping you posted with more information! Congratulations on your decision! I hope all goes well. Self-publishing can be a good first step to take in establishing yourself as an author. Congratulations , and Good luck! I'm happy to help you out with the cover reveal. How exciting! Self-publishing has always interested me. I can't wait to read your posts about it. Congrats! I can't wait til it's out. Hope you enjoy the journey of publishing. Happy to help with the reveal! Yeah! I'm so happy for you! Self-publishing has been an amazing journey for me. If you need any pointers let me know. :) Can't wait to read it cuz of the take being the Little Mermaid. Good luck.